Abigail Cook’s Wish List Appeal was set up in the name of a beautiful 7yr girl from Warmsworth who is unfortunately suffering with a very rare terminal condition. Abigail’s situation was made known to us by one of our loyal supporters Mark Pender and was later to become the first recipient of our yearly “Eve’s Grant” donation. 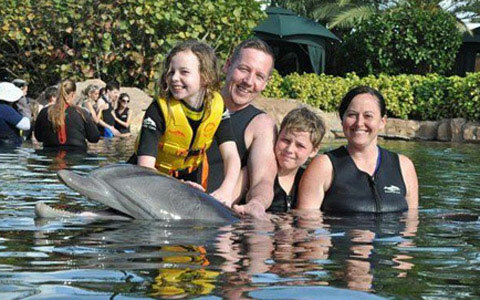 Brave Abigail made a wish list of things she’d love to do, these included a party, to dye her hair pink, return to a favourite family holiday destination, and the favourite of all, to swim with Dolphins. With the “Eve’s Grant” we were able to make a sizeable donation towards making this Dream come true we’re pleased to inform you all that Abigail has fulfilled that Dream. Despite the weather initially being a little colder than expected in Florida, the sun came out and Abigail loved every second of her Wish and certainly was a Dream come true.